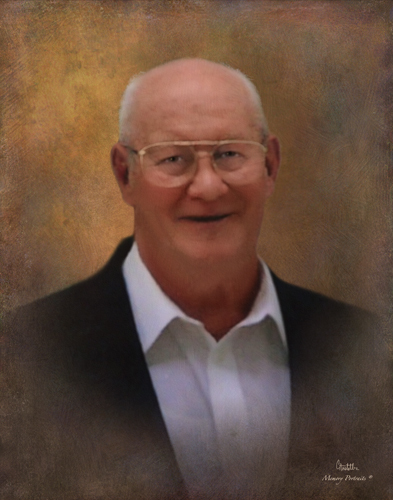 Jerry A. Anderson, age 80, of Fort Branch, Indiana, left this life November 21, 2018, surrounded by his loving wife and family. Born April 5, 1938, in New Harmony, IN, he was the son of John and Mary (Wolfe) Anderson, who preceded him in death. In addition to his parents, Jerry was preceded in death by Theresa Barrett, Daughter, David Anderson, brother; Cheryl Meyer, sister; and Theresa (Morris) Anderson, daughter-in-law. Jerry is survived by his devoted wife of 62 years, Deloris (Klenck) Anderson. Jerry and Deloris suffered the loss of their only daughter, Theresa Barrett, in January 2018. Their surviving sons include: Jerry (Jonie) Anderson of Owensville, IN, John Anderson of Owensville, IN, Roger (Deborah) Anderson of Oakland City, IN, Steve (Becki) Anderson of Haubstadt, IN and Ed Anderson of Fort Branch, IN; grandchildren: Michelle Johnson, Decia York, Jonie Lamb, David, Megan, Chris, Andrew and Ashlynn Anderson and Rich Wallace; great grandchildren: Isabella, Zoey, Cora, Tucker and Sawyer; one sister: Tammy (Charlie) Hoehn and many loving nieces and nephews. Jerry was a lifelong trucker, employed with Emge Packing Company for 35 years, followed by Ruan Leasing until his retirement. Jerry not only had an intense love for his family but a heart for people from all walks of life. He was an avid dirt track and NASCAR fan and loved tinkering on cars. Jerry treated family and friends to legendary breakfasts on Sunday mornings. He had the ability to make those around him feel genuinely welcomed and loved. Jerry loved to laugh and entertain with real-life stories and funny sayings. A celebration of Jerry’s life will be held on Wednesday, Nov. 28, 2018, at 7:00 P.M. at the Stodghill Funeral Home in Fort Branch, IN. Visitation will be on Wednesday, Nov. 28, 2018 from 3:00 P.M. until service time at the funeral home. In Lieu of flowers the family would like any donations to made to the family of Jerry Anderson to defray medical expenses.